Hey guys! It’s Courtney squared and we have much to update you on. Today we had the privilege of being able to serve with Rift Valley Fellowship to visit the homes of the families of the children who are in rescue homes. We got to deliver a bundle of food to each of the families as well as being able to ask about their lives. While engaging in fellowship we were able pray for any needs that they had. We came back with experiences that we will remember forever; there were children with bright eyes and wide smiles, women with warm hearts and encouraging testimonies, as well as the faithful women and men who welcomed us into their homes. A few of the homes that we visited today involved some of the women who were part of a women’s Bible study group, Women of Courage. We were able to get a glimpse into their lives, their struggles, their faith, as well as swooning over the creations they had made for us to look at, and eventually purchase. 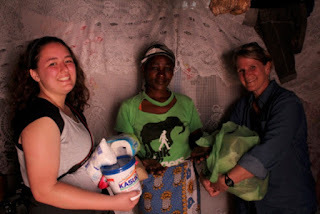 In the first half of the day, we met with the Rift Valley Fellowship Staff and were able to organize packages of food and other daily grocery items that these families needed such as bars of soap, detergent, rice, sugar, maze, flour, toilet paper, etc. We split into separate groups and headed off to visit the families. One single mother, with two children, spoke with us about how she sews to provide for them and how she struggles to do so, because her husband is not committed to the family. Another woman, who struggled with past bondages of addiction, has come to the Lord and is now continuing on a journey of recovery because of the love and passion that the Rift Valley Staff have for them. Because of all of the progress she has made, she has been able to make a home for herself and her little one. These are just two stories out of the many families that we had been able to visit today, but all of them touched our hearts and we were able to see how God had been working within their lives. 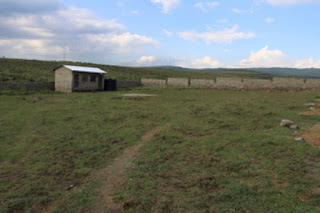 Once we got done visiting the Women of Courage, Isaac’s wife Esther took us to the area where they are starting the process of building a safe home for boys. Boys also fall into prostitution here and find it very hard to live close to Maai Mahu while they are trying to recover. Only a security wall is up at the moment, but Esther told us of the plans they have to set the home up and running by November, where they will be able to house up to 12 boys at a time. What was striking about the area was how silent and peaceful it was. There was hardly any noise besides nature, there were rolling hills and a great view of the lake and mountains. We felt at peace there, and you could tell God was there in the project. All in all this day has been another way for God show his love through every person that we met. 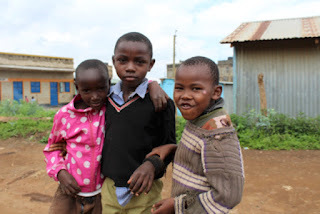 The beautiful people of Kenya have shown us kindness, perseverance, and a faithfulness that God is truly remarkable. As this trip moves forward, the people continue to grow in our hearts. Within the last few days we have been able to see how God has been shaping and molding of both us and the people we have been blessed to serve. We look forward to what tomorrow brings, and we can’t wait to bring you along for the ride.